Must Have of the Day: The new Monnalisa’s collections are extra girlie, age appropriate, and above all else, fun! Nothing short of a standout brand in luxury girl’s childrenswear, the Italian collections of Monnalisa are always on tune. Perfect for the fashionable girl who prefers youthful prints to ripped-from-the-runway styles, Monnalisa’s collections are extra girlie, age appropriate, and above all else, fun. 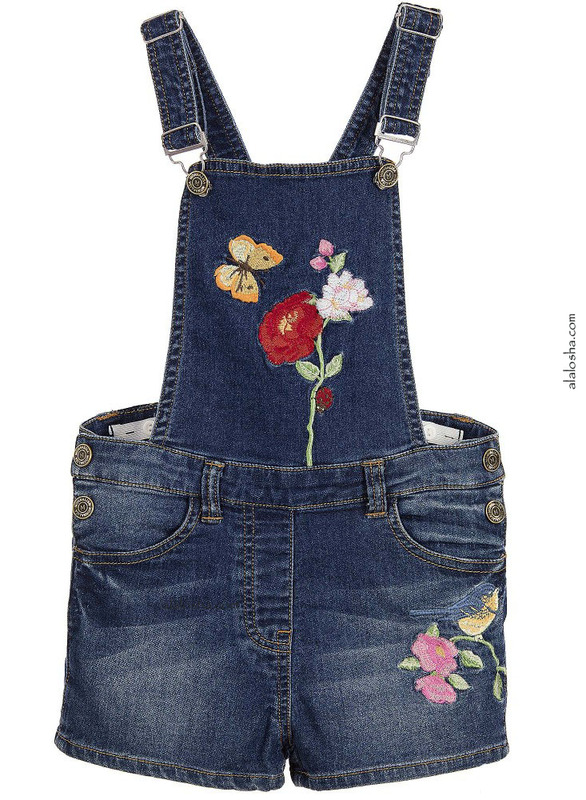 Girls blue denim dungaree shorts by Monnalisa Bimba. Made in soft cotton denim. Beautiful embroidered flowers and birds adorn the bib and the front leg. Girls red and white trainers by Monnalisa Chic. 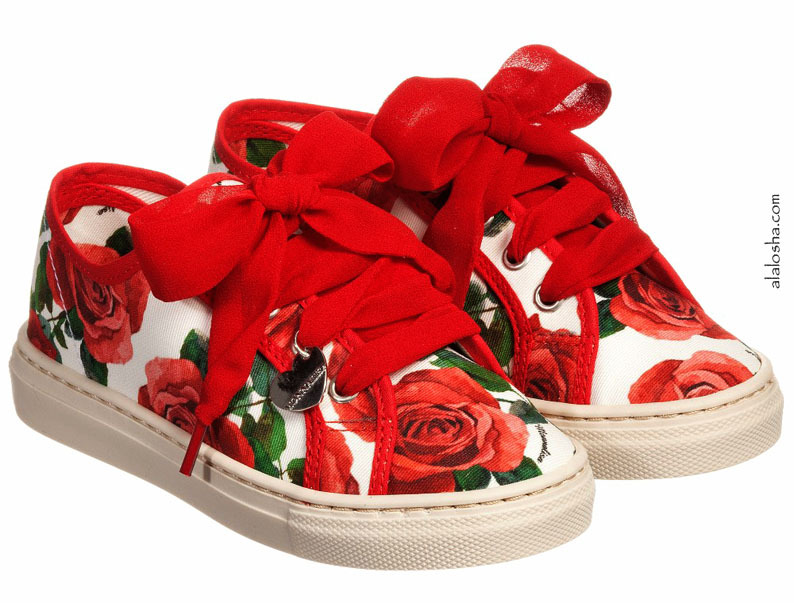 These gorgeous trainers are made in rose printed cotton canvas and fasten with lovely red organza laces. The inner sole is slightly padded leather and the outer sole non-slip rubber. Girls yellow tulle dress by Monnalisa Bimba, made in a soft, polka-dot patterned polyester tulle. Gathered at the waist, it has a grosgrain ribbon belt that is encrusted with yellow diamanté jewels and ties in a bow at the back. The dress has a layered tulle underskirt, is fully lined in soft jersey and has a keyhole button fastener with a zip at the back. Girls white t-shirt by Monnalisa Bimba, made in soft, cotton jersey. Printed with a teapot and sparkling blue and red roses, it has a lace trim around the hemline, with a red ribbon threaded through. There is an inverted pleat at the back.